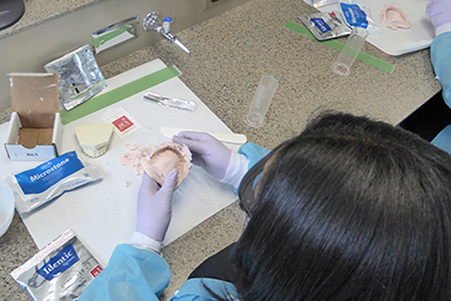 Community service is an integral component of the Detroit Mercy Dental's mission to develop socially and ethically sensitive dental professionals. 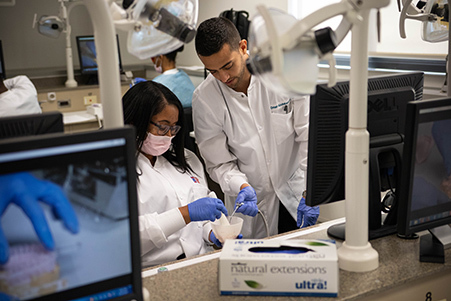 The Division of Dental Public Health is responsible for engaging students in a variety of activities including oral health education, comprehensive and preventative programs and targeting underserved populations. Throughout the year, there are a variety of outreach initiatives available for student involvement, but our commitment to the community is much greater than that; in fact, it is embedded in our curriculum. Since 2006 we have been cultivating a Community Based Dental Education (CBDE) course to provide students with unique experiences, making a difference in underserved communities throughout Michigan. Service to the community is much more than the activity itself — it is about meeting the needs in the community through direct patient care, enabling students to help others and to give of themselves. Furthermore, it provides multicultural experiences which enhances students' awareness and sensitivity to a culturally-diverse population.